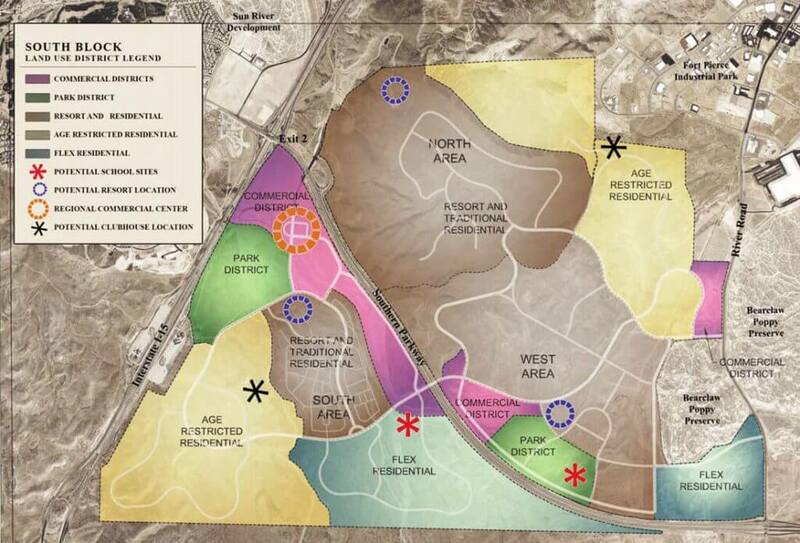 The Spectrum – October 18, 2018 – ST. GEORGE, UTAH — Ambitious plans to build what amounts to an entire new city along Utah’s southern border moved closer to reality Thursday, with the St. George City Council giving its unanimous approval to more than 1,300 acres worth of zone changes. The opportunity to develop everything from the ground up as part of a single cohesive plan has city officials raving about Desert Color’s potential. Going back more than a decade, the city had developed plans for the “South Block,” the long stretch of desert along the border opened up to new development with construction of the Southern Parkway. In addition, the entire development would be piped into the city’s secondary water system, taking non-potable, brackish water unsuitable for culinary use and preventing waste of more valuable drinking water. “That was one of the major cornerstones of our project was to figure out how to reduce water demand as much as possible,” he said. But Thursday’s meeting marked a key step in the process.